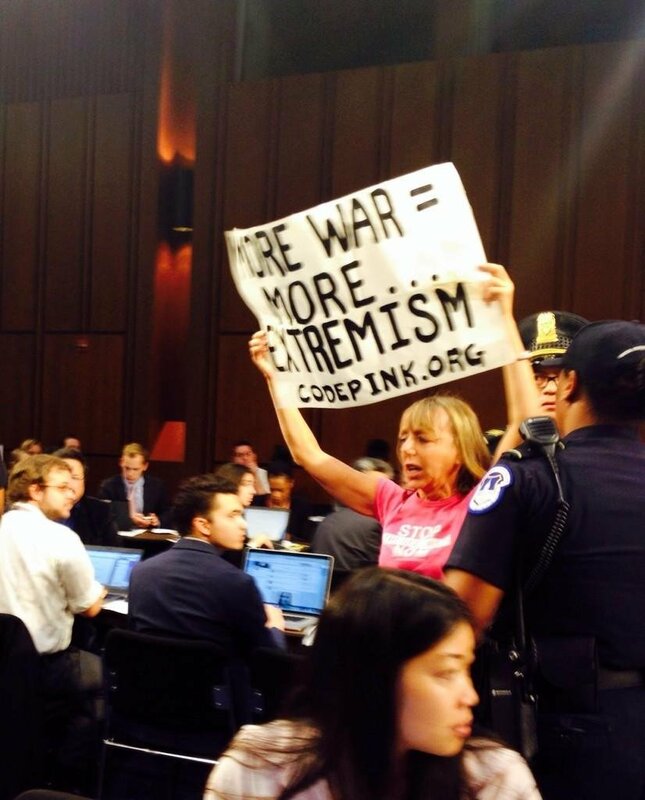 Code Pink founder heckles US senators at hearing on ISIS. The far left activist group protested attacks on the extremist terror group. Code Pink founder Medea Benjamin and cohort Tighe Barry disrupted the Senate hearings on ISIS on Tuesday. They do not want the US to attack the radical Islamist killers. The far left activists flooded the hearing this morning. Several Code Pink activists were planted in the room to disrupt the hearing. Evidently, these activists were not fazed by the recent beheadings. 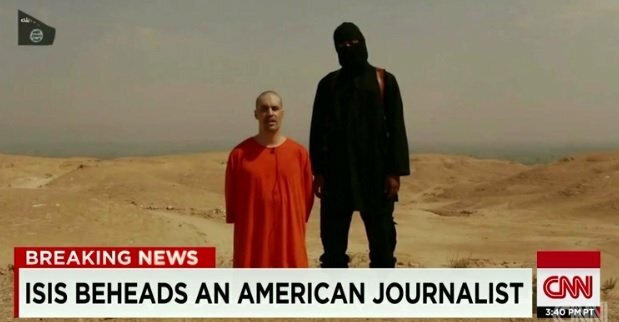 US reporter James Foley was beheaded by ISIS in August.